You will love coming home to the Franklin Village new home community in Nampa, ID. This amenity-rich neighborhood, located near Franklin Blvd and Cherry Ln, offers residents the best of both worlds. You are just minutes from everyday conveniences including shopping, dining, and entertainment while residing in a peaceful retreat ideal for any family. Homeowners are invited to the new 28-acre Orah Brandt park within the community. Take a dip in the swimming pool, stroll the walking paths, take in the sights at the rose garden and amphitheater, or play a game of soccer. A convenient location and excellent amenities make Franklin Village real estate a great place to call home. 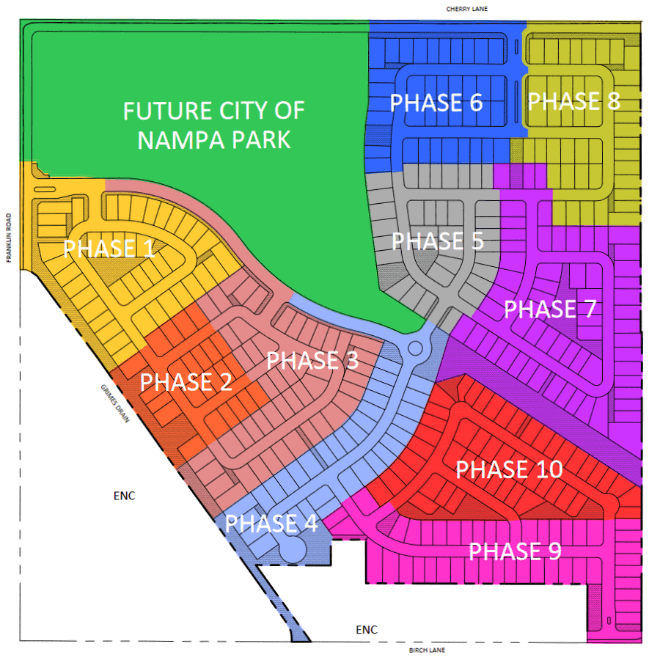 Continue your search for new homes in Nampa or view our complete guide to new Nampa subdivisions. Contact us today to learn more about Franklin Village real estate & Nampa homes for sale - (208) 391-4466.